Heavy 6 axle engine for 9V track. 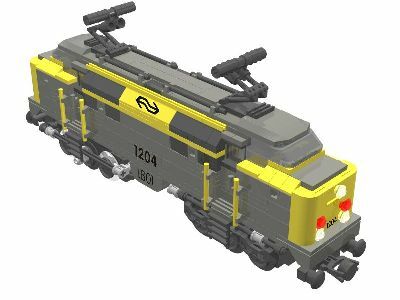 Based on the 1200 series of the Dutch Railways. Build by an American-Dutch cooperation: Baldwin/Heemaf/Werkspoor. It is a very detailed model. Limited edition, as several parts are hard to get or expensive. All the parts to convert a standard 9V motor to a 6 wheel bogie are included. 9V motor is optional/not included. Only 1 bogie included. For the other bogie you need a 9V Motor.